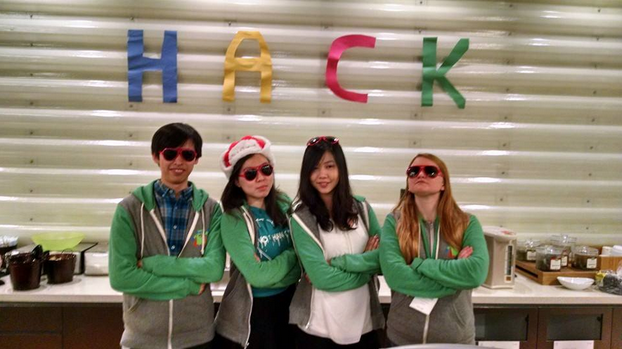 Google Student Blog: Hack4Humanity: Students code for social good at Google’s first ever 48 hour hackathon! Hack4Humanity: Students code for social good at Google’s first ever 48 hour hackathon! The hackathon opened with several inspirational talks from experts in the humanitarian world, including speakers from UNICEF, the UN Foundation and Christopher Reeve, a journalist working in conflict zones, including Egypt and Gaza. As the hackathon kicked off, members of the Google Ideas team spoke about several major humanitarian challenges facing the world today: online repression and censorship, gender-based violence, and risks facing vulnerable populations. Google Ideas is a team that uses technology to help people confront threats in the face of conflict, instability and repression. These topics informed the project tracks for the event. After the formal kickoff, Google Ideas engineer Baris Yuksel led the groups in a brainstorming session where they scoped out potential projects. Once projects were drafted, students were set to work on their first major block of coding (with a break for midnight pizza, of course). Students worked with more than 25 Google engineer mentors throughout the event and had “brain breaks” for massages, cookies, gourmet coffee tasting and, of course, Taylor Swift dance parties. On Sunday, students demonstrated their projects in front of our six judges (three Google Ideas judges and three UN judges). After many amazing demos, our judges deliberated and chose our top three prize winners. Awarded third place were the “Inverse Pandas” from Harvard University, who presented Fire, their SMS-based emergency contact app. In second place were “The Powershell Girls” from New York University, with their app HIDR, an easy to use file encryption tool for traveling with sensitive information, intended for use by journalists and others crossing conflict zone checkpoints. And winning the grand prize were “quickSorta” from Swarthmore University, with Alli, a community-based app for alerting your network if you feel you are in a threatening or uncomfortable situation - intended to help bring male and female students together to minimize sexual threats on college campuses. Congratulations to all of our Hack4Humanity participants! The entire Google team commends all of our student hackers on their thoughtfulness, hardwork, and dedication to improving the lives of those in need. Google looks forward to continuing our partnership and supporting the next generation of developers doing social good! 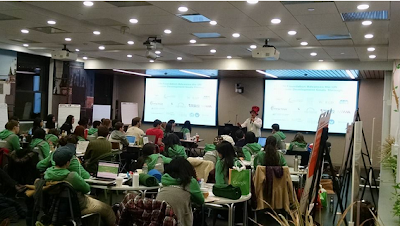 While most college students were preparing for finals and eagerly awaiting winter break, 89 students from 10 universities on the East Coast spent the weekend at Google NYC’s Hack4Humanity. Over two sleep-deprived and caffeine-fueled days, these students used their computer science skills to build technologies for social good.